For the last two weeks, we've been living without "real" TV and subpar internet through our phones, not to mention no furniture outside of our bedrooms. This past weekend was our first weekend with a house full of furniture and a TV that could watch more than just recorded episodes. As much as I'm happy to have more variety to watch and internet that's actually worth a crap, I can't deny that not having those things forced us to spend more time together as a family, which is invaluable. So be intentional - remember the things that matter most in life - and turn off your TV, phone, computer, whatever it is that's stealing time from those things. 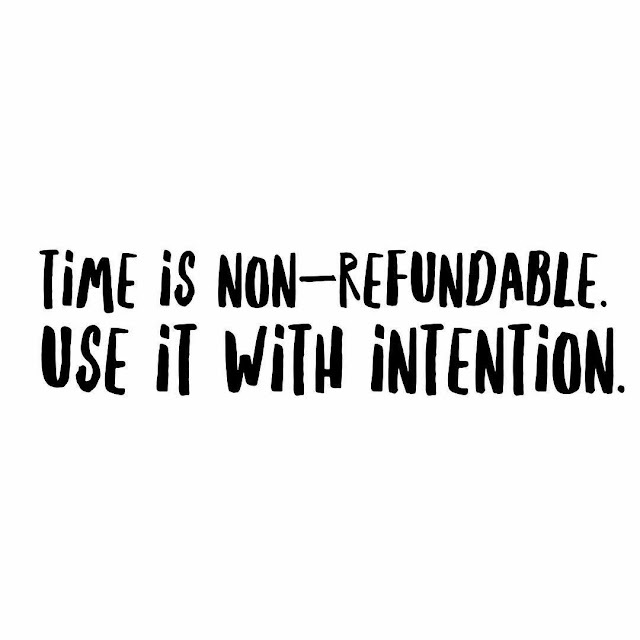 Because time is non-refundable.